In late 2016, reports emerged that US and Canadian diplomatic personnel in Cuba were suffering from some sort of brain injury linked to hearing strange sounds. The cause was unclear, though some speculated that a form of sonic weapon could be responsible. A new study of affected patients shows signs of trauma and common factors, but the mystery persists. But a new study of the victims of these mysterious phenomena suggests a new, disconcerting possibility: Some unknown force projected in the direction of the patients could have somehow injured their brains. “The unique circumstances of these patients and the consistency of the clinical manifestations raised concern for a novel mechanism of a possible acquired brain injury from a directional exposure of undetermined etiology,” the study’s authors wrote. The saga began in late 2016 when American diplomatic staff (and some Canadians) that had been in Cuba began to report odd physical and mental symptoms. Some could no longer remember words, while others had hearing loss, speech problems, balance issues, nervous-system damage, headaches, ringing in the ears, and nausea. Some even showed signs of brain swelling or concussions – mild traumatic brain injuries. Many of the victims remember strange occurrences before the symptoms appeared, though others didn’t hear or feel anything. One diplomat reported a “blaring, grinding noise” that woke him from his bed in a Havana hotel, according to the Associated Press. The AP also reported that some heard a “loud ringing or a high-pitch chirping similar to crickets or cicadas” in short bursts at night, while others said they could walk “in” and “out” of blaring noises that were audible only in certain spots. The US State Department eventually determined that the incidents were “specific attacks” and moved to cut its Cuban embassy staff by 60%. But despite that determination, no one understands those “specific attacks” or is even sure they’re responsible for everything that’s happened. According to ProPublica, the FBI hasn’t even been able to rule out the possibility that some of the patients were never attacked in the first place. Most of the victims were first examined in Miami, but a team of researchers from the University of Pennsylvania’s Center for Brain Injury and Repair were selected to help further evaluate and treat at least 21 patients, whose cases are described in the new study. By studying those 11 women and 10 men, the researchers were able to establish a significant amount of common ground among the patients. More than 80% reported hearing a sound that had a “directional” source – it seemed to come from somewhere. After three months, 81% still had cognitive issues, 71% had balance problems, 86% had vision issues, and about 70% still reported hearing problems and headaches. The fact that a number of these symptoms could be subjective has raised questions about the possibility that this group of people is suffering from some sort of collective delusion, according to the study authors. But they say that mass delusion is unlikely, since affected individuals were all highly motivated and of a broad age distribution, factors that don’t normally correspond with mass psychogenic illness. Plus, objective tests of ears and eye motion all revealed real clinical abnormalities. All these symptoms seem consistent with some form of mild brain trauma, according to the researchers. But these symptoms persisted far longer than most concussion symptoms do, and were not associated with blunt head trauma. “These individuals appeared to have sustained injury to widespread brain networks without an associated history of head trauma,” the study authors wrote. Mysterious weapons – or something else? Despite having identified common symptoms and clinical evidence of some sort of injury, researchers are still at a loss about the cause. If there is some kind of weapon involved, no one knows what kind it was or who would have used it. 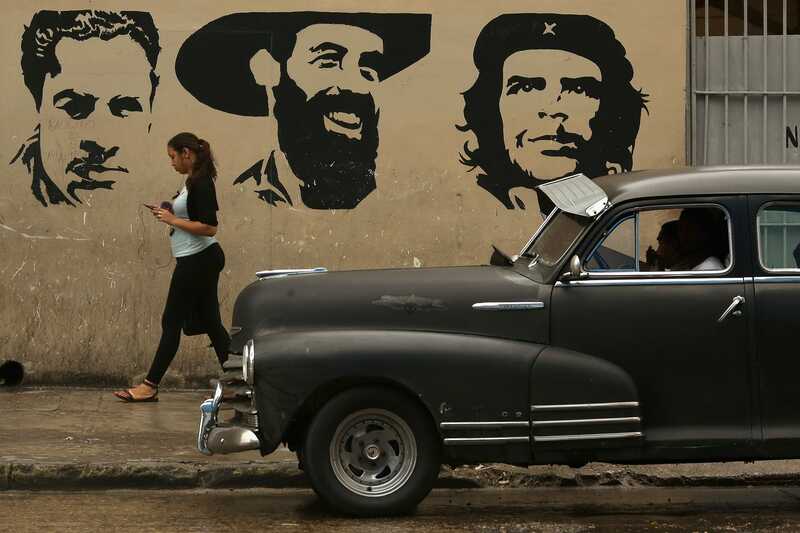 The Cuban government has denied any connection and investigators haven’t found any link to Russia, which intelligence analysts had speculated might have the means and motivation to carry out an attack. The reported presence of strange audio and of the feeling of changes in air pressure have led to speculation about some kind of sonic or audio-based weapon. But even though sonic weapons exist, they’re very visible and easy to avoid, according to Seth Horowitz, a neuroscientist who wrote the book “The Universal Sense: How Hearing Shapes the Mind. Plus, the specific symptoms make that unlikely. “There isn’t an acoustic phenomenon in the world that would cause those type of symptoms,” said Horowitz. He speculated that perhaps some sort of mysterious pathogen or other phenomenon could have caused the symptoms, but the authors of the new study report that no signs infection (like fever) were identified. They determined it was unlikely a chemical agent would have caused these effects without damaging other organs. In an editorial published alongside the new study, two doctors wrote that without more information and more data on the patients before they reported feeling ill, we can’t be certain what went wrong.